The defending NCAA Tournament champion Villanova Wildcats, who are the No. 6 seed in the South Region, take on the No. 3-seeded Purdue Boilermakers in a second-round matchup for the right to move on to the Sweet 16. The Purdue Boilermakers are ​3.5-point favorites, according to FanDuel Sportsbook. If you're looking to place a bet on the game, then it's always wise to take a look at what a few industry experts are saying about the game beforehand. Nick Simpkins, of iSportsWeb, is rolling with the defending-champion Wildcats in this one. 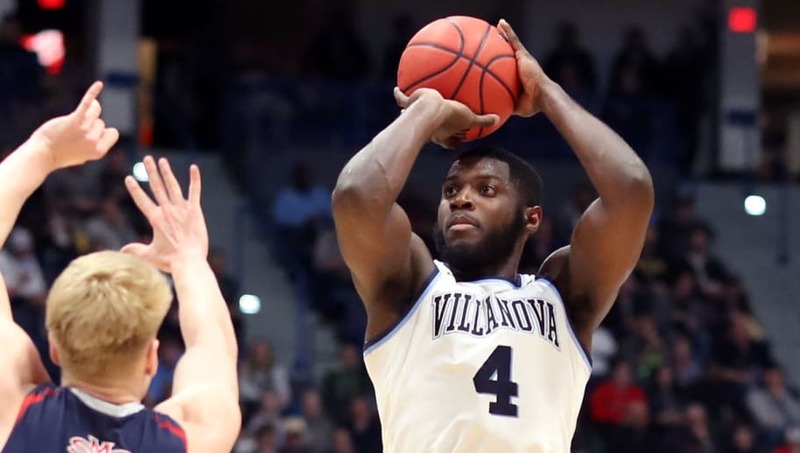 He likes the experience of head coach Jay Wright and the rest of the Wildcats team as one of the main factors in them coming away with a 73-71 victory. The team at Crossing Broad also likes the Wildcats here. They think the difference maker will be Jermaine Samuels, who has emerged as a viable scoring option for the Wildcats in March after struggling earlier in the year. Tony Tellez is making it a clean sweep for Villanova, predicting an outright win for the defending champs. He points to the Boilermakers recent troubles on the offensive end as one reason for his pick. All three experts are siding with the Wildcats to come away with the upset win in this one, and thus moving them on to the Sweet 16.